Reece Prescod and Harry Aikines-Aryeetey will lead British hopes in the 150m at the innovative Great North CityGames street athletics meeting this weekend. 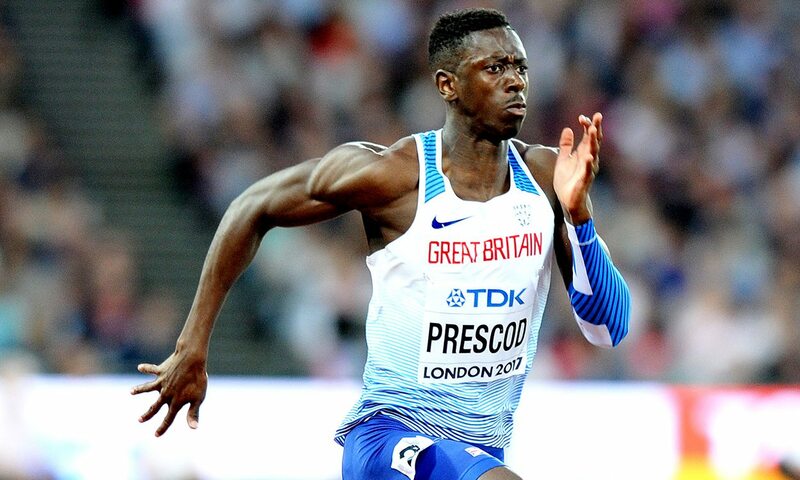 European 100m silver medallist Prescod ran his 9.94 PB in Birmingham last month, while Aikines-Aryeetey, who anchored the GB team to European 4x100m victory in Berlin, has a 150m best of 15.22 from Manchester last year. The pair will take on America’s Elijah Hall and Ireland’s Leon Reid, who won 200m bronze for Northern Ireland at April’s Commonwealth Games, in the 150m straight race on the four-lane pop-up track on Gateshead Quayside on Saturday afternoon. Commonwealth 100m champion Michelle-Lee Ahye of Trinidad and Tobago heads up the women’s field and will line up against Great Britain’s Jodie Williams and Daryll Neita. Netherlands’ European 200m medallist Jamile Samuel completes the four taking on the 150m. Other athletes already announced include Laura Muir, Jess Judd, Hannah England and Rosie Clarke in the mile and Greg Rutherford in the long jump, which is set to be his last ever competition before retirement. The athletics action is free to watch in person and the event will be broadcast live on BBC One from 1.15pm.